These UFOs were caught on live cam. There were several, but the video quality has be doubting the others. 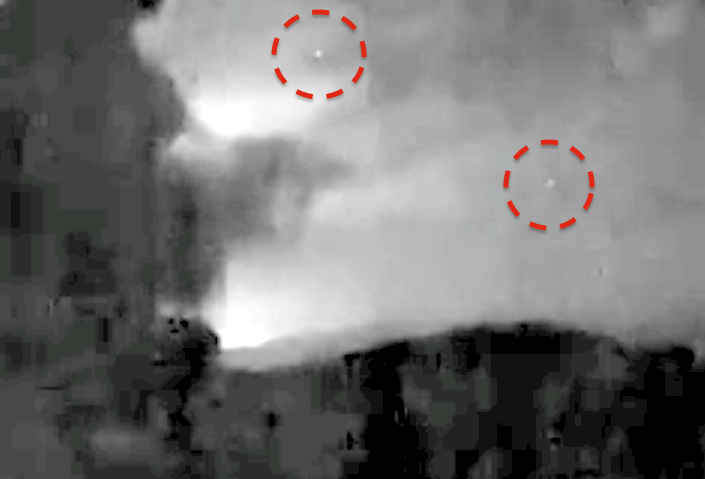 One UFO comes down slowly from above, then another rises up from the lower right side. As the one on the left rises higher, the other UFO disappears. UFOs are often near eruptions and have been seen entering and leaving the mouth of volcanos.